Performing nerve blocks is an art, requiring expert ability to localize the nerve before injection. 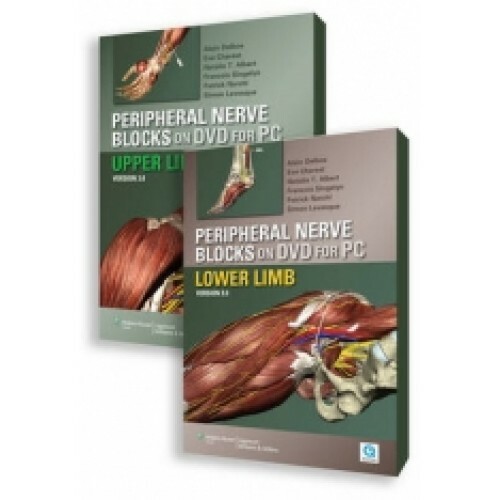 This DVD set, Peripheral Nerve Blocks, demonstrates neural stimulation through narration, slides, tables, and video, which are synchronized with 3D anatomical simulations. It clearly presents all neural stimulation blocks commonly performed in both the upper and lower limbs, including all single injection and continuous infusion techniques, infraclavicular and interscalene blocks; sciatic nerve, lumbar plexus, and femoral nerve blocks. Narrated full-screen live-patient video sequences highlight each aspect of every procedure, so you never miss a step! Helpful clinical tips from the experts help optimize your technique and alert you to potential pitfalls.